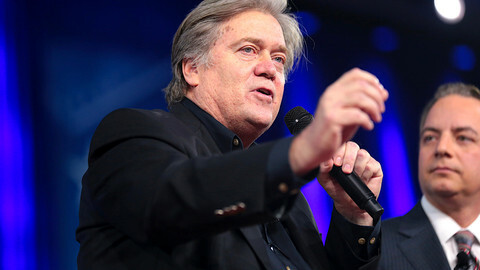 The Belgian politician Mischael Modrikamen working with US hard-right strategist Steve Bannon to launch 'The Movement' has announced they are expecting their inaugural first summit in Bruxelles in mid-January. In an interview with EUobserver, Modrikamen said they are hoping to attract members from the Trump administration plus 'Tea Party' representatives, among others, to attend the event in Brussels. "When we have a summit we will have 20, or 25, or 30 groups, movements, parties from Europe - or maybe other parties of the world - with one or two representatives, and maybe one or two honorary presidents, figures, to be there," he said. The Movement, a joint effort between Modrikamen and Bannon, has gained considerable attention for its wider global plans to promote the populist-radical right, and economic nationalism, ahead of the EU parliament elections next May. Matteo Salvini, Italy's deputy prime minister and interior minister, is on board. But others are not so forthcoming. When pressed to reveal who else had expressed interest, Modrikamen insisted that he had not had the time to reach out and meet those he wants to join what he describes as a club meant to unite "like-minded" people. However, he hinted that they were in talks with Brazil's far-right presidential front-runner Jair Bolsonaro - but wouldn't confirm or deny when pressed. He said he would seek to meet France's right-wing nationalist MP Nicolas Dupont-Aignan, the Sweden Democrats, and others for them to join. He said he wants to liaise with Israel, the Middle East, Asia and elsewhere, saying that racists and anti-Semitism will not be tolerated. 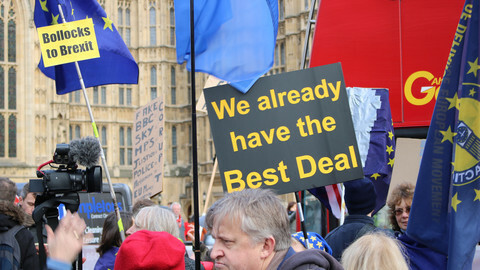 "We are not a mass movement, we are not there to be a political group at the European Parliament, we are not there to be a European party," he said. He said the globalists have their economic forum in Davos, their annual Bilderberg conference, and their European Union. The Movement, he says, wants to build an alternative platform for sovereignists. Modrikamen's comments came against the backdrop of local elections in Brussels - where his Belgian Popular Party received scant support and was broadly shunned by Belgian media. It also followed a joint press conference earlier this month between Salvini and France's far-right leader, Marine Le Pen. Le Pen - at the time - said Bannon, as an American citizen, had no business in organising anything when it comes to the upcoming EU elections. 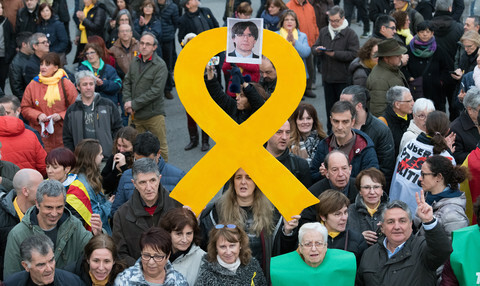 "This is a deep misunderstanding about what we are because The Movement is not here to organise the European parties, we are here to help, to build bridges," said Modrikamen. Modrikamen said Bannon has no leadership role, emphasising that The Movement only has what he called "facilitators". 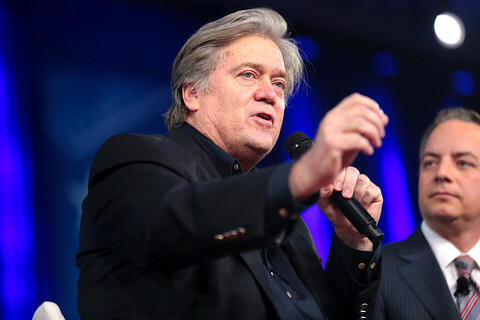 When asked, he drew a comparison between Bannon's role in The Movement with Hungarian-born American billionaire and philanthropist, George Soros and his pro-democracy NGO. "I think you can make this kind of comparison," said Modrikamen. Soros is behind the Open Society Foundation (OSF), an international grant-making network seeking to build "vibrant and tolerant democracies". Soros' progressive liberal values have made him an enemy of the state in Hungary, where the ruling Fidesz party had tried to dismantle the Soros-funded Central European University in Budapest. Soros' views on migration have also turned him into an international hate-figure for the far-right and other illiberal political factions, who accuse him of dismantling 'Christian' European identity. Le Pen has since warmed to the Bannon-Modrikamen idea. But early last year in Koblenz, Germany, Le Pen made a similar effort to form an alliance among party leaders like Salvini and the now ex-head of the Alternative for Germany (AfD) party, Frauke Petry. It flopped. At the time, Le Pen had come on stage to the sound of Vangelis and presented as the 'future president of the French Republic'. Her dramatic loss to Emmanuel Macron instead rekindled hope among more mainstream parties for their support of the European Union. But recent election gains of far-right and anti-establishment groups in Italy and Austria has emboldened The Movement in their bid to harness similar sentiments in other EU states. A key tenet of these groups is that the EU is undemocratic and unaccountable. That is contested. Alberto Alemanno, Jean Monnet Professor of EU Law in Paris says the "European Union, in its daily operation, is much more transparent and accountable than an average member state of the Union." He said it is striking how the anti-European movement is using Europe to build a transnational alliance while the pro-Europeans are unable to muster a similar force in the defence of EU. In September, European Parliament Liberal leader Guy Verhofstadt announced a pan-European liberal alliance with Macron. This month, Macron and Dutch Prime Minister Mark Rutte appeared to be making a similar overture ahead of the European elections. Modrikamen says such moves are in part response to The Movement, which he claims is helping frame the debate between two competing visions. One vision seeks a federalist and more integrated Europe, the other more state sovereignty. 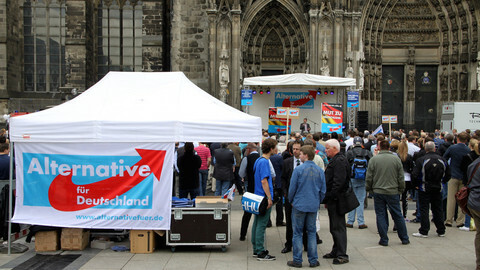 But Bavarian conservatives the Christian Social Union swing towards the right backfired, posing questions on whether the far-right and populists in Europe are as firmly rooted as some would suggest. 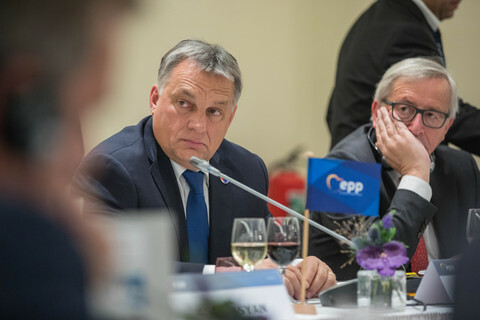 Meanwhile, European ultra-right parties such as the Alliance of European National Movements (AEMN) and Alliance for Peace and Freedom (APF), have both been stripped of EU funding. Private individuals from Europe and the United States are giving donations. The costs will be minimal, insists Modrikamen, although the bills will balloon when it comes to think tank services, like pan-European polling. Plans are underway to hire possibly up to 15 people, some based in Brussels, others in London and the United States. "The [funding] money has to be legitimate, no offshore, nothing of this nature," he said. He will also shun public taxpayer money given, in part, his previous run-ins with the European Parliament and the EU's anti-fraud office, Olaf. 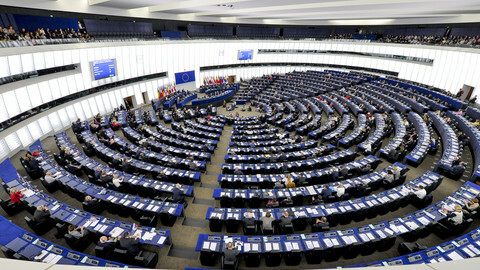 Modrikamen had been vice-president of the Alliance for Direct Democracy in Europe (ADDE), a European political party that was shut down in 2016 over reported abuse of EU funds. 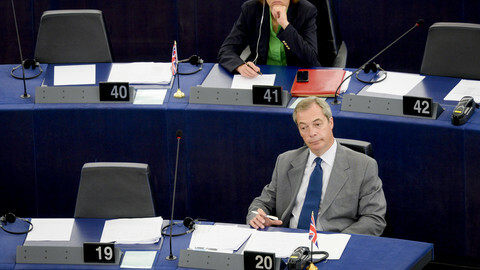 That affair appears to have only heightened Modrikamen's disdain for the EU. Asked if there is anything positive about the EU, he mentioned Erasmus, the student exchange programme. "Erasmus is great, I mean the students, I would have loved it. 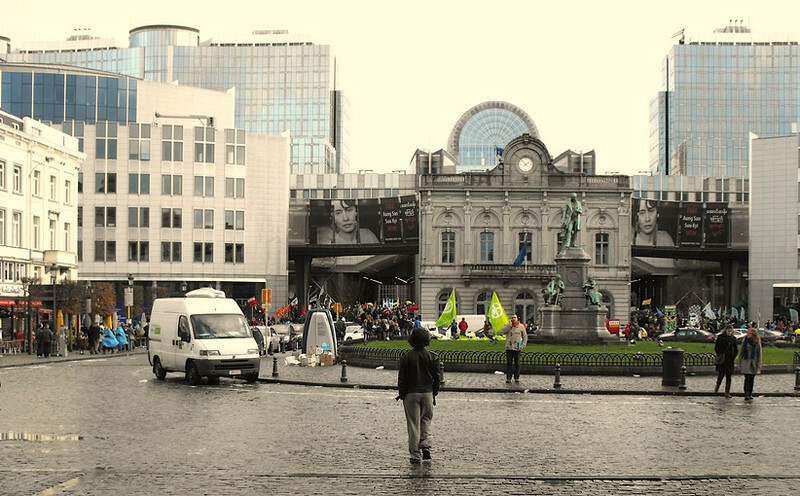 When I was student...at that time it was only staying in Brussels." The Alliance of European National Movements (AEMN) and Alliance for Peace and Freedom (APF) have been struck off the registered list of European political parties. 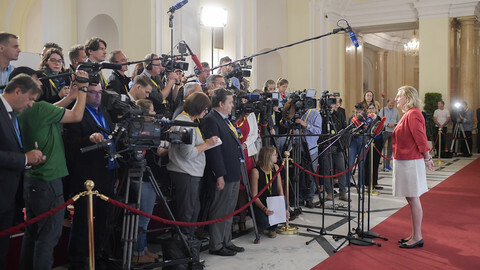 The ultra-nationalist parties will now not be allowed access to any EU funding. Steve Bannon's demolition derby is behind the curve of EU politics, writes Dutch liberal MEP Sophie in 't Veld.